Niantic posted a brand-new blog entry today on their website letting Pokémon GO fans know that there’s a new batch on the way. 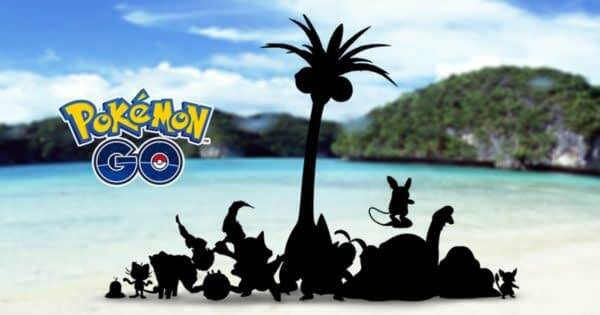 This time around, you’re getting several from the Alola region, which means a few different creatures and variants from Pokémon Sun and Moon. Basically, it means you’ll be seeing a lot more earth, plant, and water-based figures, as you can see from the image below where the company posted silhouettes of the ones that will be on the way. You can check out the company’s official description below, but sadly, they included no info as to when they’d be making their way into the game. Sunny days are ahead! Whether your forecast calls for rain or shine, we’re celebrating all around the world by introducing some special Pokémon from the tropical Alola region to Pokémon GO. Get ready for some of the Pokémon originally discovered in the Kanto region to appear in their Alolan forms! These unique variants were first seen in the Pokémon Sun and Pokémon Moon video games, and they will make their way to Pokémon GO in the coming weeks. Keep an eye out for news related to this exciting change—and don’t forget to tell your friends! Stay safe, and happy exploring!